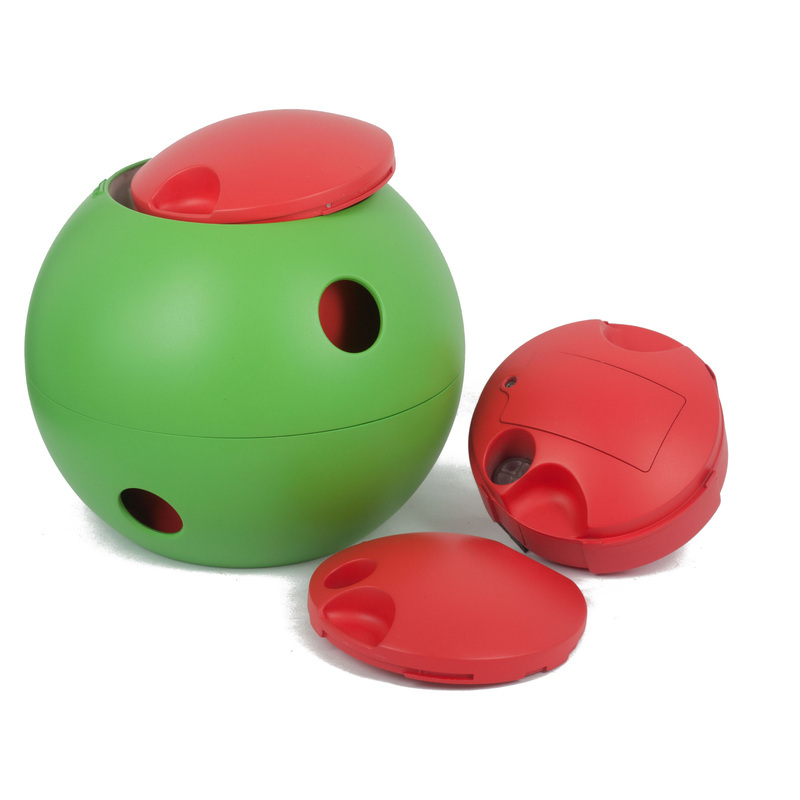 Want a toy to keep for your pet to keep them happy and busy why not try some smart toys? I have to be Honest this toy is one crazy piece of toy!! (hehehe) When this first came in the mail i thought for sure that Roxy(My dog) would "NOT" play with it, I put the batteries in which is (x2 AA) and set it to the time i wanted on the timer (15,30,60,90) and turned it on it had a dinging noise and when I herd that i though I broke it my dog ran away from it a few times but then it was the cutest thing she ran up to it and was hitting it with her nose, which you will see in the interactive video below of her testing out the product! this is so cool! now I love it, I like how inside of it there are different slits in it and you put the treats in there its really cool! Its also really heavy duties which I really like because, Roxy was hitting it into walls and my drawers, this is the one toy I leave out that's not in her toy box (yes my dog has a toy box) I like the idea that you can use this for feeding your dog its daily meal, as long as it is dry food and not wet because, you don't want it getting stuck. I used it for treats but, I will have to try it with her meal to see how that works, it would work out great for dogs that eat really fast mainly because, it will slow down there eating and make it fun for them. ~Foobler is a newly invented design; it is a combination of pet toy and food dispenser with mechanic alarm. 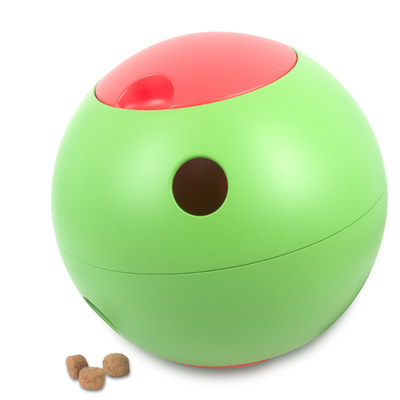 ~The Foobler is recommended by many pet behaviourists and dog trainers around the world, since hunting is a dog’s instinct, the Foobler trains up the dog in a nature way, by allowing the dog to use its paws, hip, nose to find food or their treats. ~You can set the timer in 15/30/60/90 minute timer intervals, and when the time is up, it will rotate to the next treating pod, and the alarm will ring to attract the dog’s attention. I used this with Roxy and she loved it. Was not to happy about it at first, but after that she loved it!